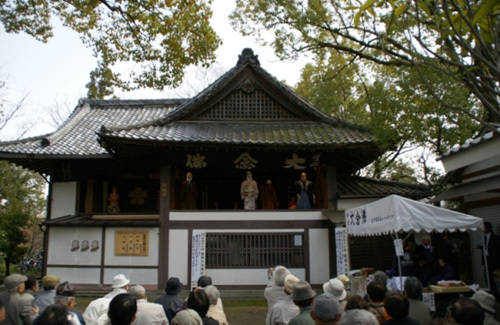 <No & Kyogen> Seiryouji-Temple in Kyoto city on beginning of April. This is a Cultural heritage of Japan. A noh dance or classical Japanese dance -drama. in the fourteenth century from religious sources and folk myths. It is a combination of drama,music, and dance. construction and is performed to fill the intervals between the "No" plays. It serves as a relief from the solemnity of the "No" drama.